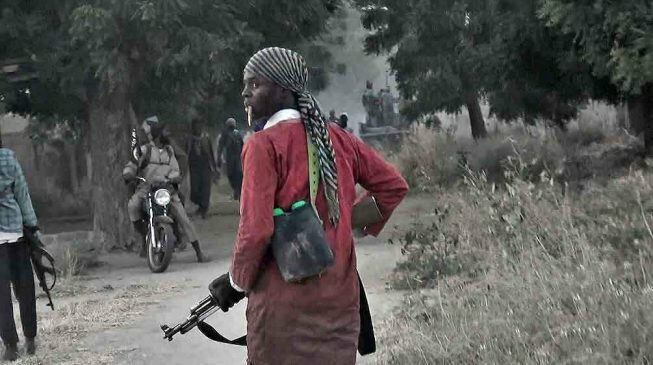 The Islamic State in West Africa (ISWA) faction of Boko Haram reportedly attacked 157 task force battalion of the Nigerian army in Maitile, Borno. More than 10 soldiers were killed while the insurgents carted away ammunition and other military equipment. A military source explained that the insurgents forcefully gained access into the military base around 5pm on Sunday. The source said some soldiers who stood to fight the insurgents were killed and others have gone missing. “The soldiers were outnumbered and outpowered,” the source said. Another officer who spoke with TheCable said they heard of the attack on Monday evening. “We are presently in Mubi, but we heard of the Abadam attack. There is no network at the moment in Abadam and it’s been difficult reaching the troops there,” he said. There were also reports that the commanding officer of the battalion was killed in the attack. “We heard that a senior officer was killed, I can’t confirm yet if it is the commanding officer,” the source added. The attack is coming barely three weeks after soldiers went missing in a similar attack at the military base in Kukawa.